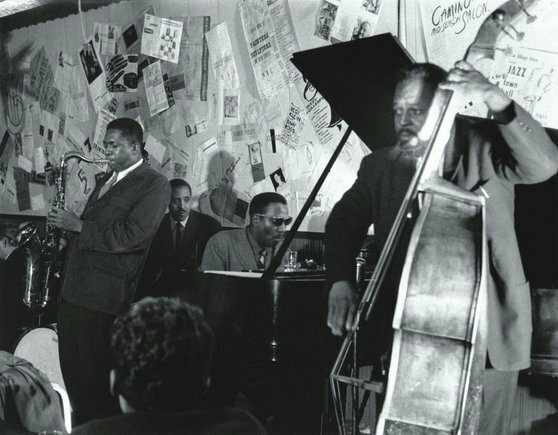 Less than a month after leading a quartet session with Ray Copeland (trumpet), Frank Foster (tenor sax), and Curly Russell (bass), Thelonious Monk (piano) was documented during this June 7, 1954 solo session in Paris for the Vogue label. Over the years these nine performances have been packaged and re-packaged. This mid-’90s CD reissue seems to take a bit of an edge over many of the midline titles as the audio has been remastered and by all accounts sounds excellent. In terms of contents, it is interesting to note that three of the numbers Monk had cut with Copeland, Foster, and Russell on May 11, 1954, he re-recorded in this, his very next studio outing. Those selections include the Monk originals “We See,” “Hackensack,” and cover of “Smoke Gets in Your Eyes.” It is indeed a thrill to hear the artist accompanying himself on eight of his best-known and loved songs. 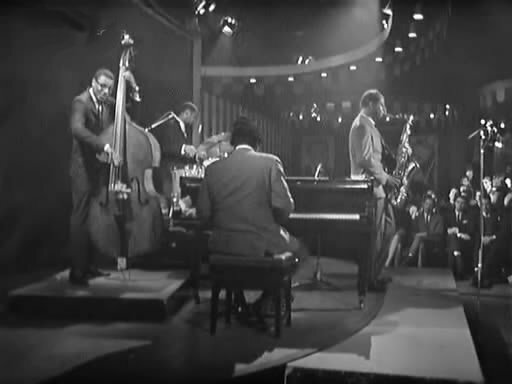 There truly isn’t a dull moment during the half-hour program, beginning with the charm and sophistication of “‘Round Midnight.” With all excessive (read: “other”) instrumentation stripped away, the true density inherent in Monk’s arrangements, as well as his equally complex performance style is more clearly revealed. The hurdy-gurdy of “Evidence” has a playful organic quality that sounds comparatively rigid or structured when placed beside any of the renditions Monk cut in a quartet, for instance. At times, it sounds as if he is genuinely amusing himself as he weaves short responsive phrases. The aforementioned update of Jerome Kern’s “Smoke Gets in Your Eyes” is wistful as the melody line spills out, almost as if by accident, from beneath Monk’s fingertips. Thelonius Monk was one of the truly great piano geniuses on the international jazz scene. Esbjörn Svensson is one of the truly great piano talents on the Scandinavian jazz scene. In some way you knew that they had to meet sooner or later. At last spiritually. And musically. „Plays Monk“ is the telling title of the CD from 1996 by Esbjörn Svensson Trio (EST). sprightly „Rhythm-A-Ning“, gets here a becomingly shining new colour. In EST we have Magnus Öström on drums, Dan Berglund on double-bass and, of course, Esbjörn Svensson himself, who was an infant when he practically learnt to walk to the sound of „In Walked Bud“. „My father was and is a great jazz lover. So I was very young when I first came in touch with Monk´s music. He is the kind of composer that cannot be avoided“, says Esbjörn Svensson. The music of Thelonius Monk is a peculiar mixture of simplicity and and complexity; of larguorous ballads and rhythms turned inside out. The music is a challenge. „You can always give it your personal touch“, explains Esbjörn. On „Plays Monk“ you notice this over and over again. EST has for instance made is own interpretation of the classic „`Round Midnight“, complete with a new string arrangement signed Esbjörn Svensson. The haunting string section is played by four members of the Swedish radio Symphony Orchestra. Both Monk and EST have a common determination to go beyond the sometimes rather narrow items of jazz music. This is noticeable if we take a look at the musical past of the trio, who has played with such diverse luminaries as Rebecka Trnkvist, Nisse Landgren, Svante Thuresson, Lisa Nilsson and Louise Hoffsten. Johan Ekelund, who is probably most wellknown as one half of the successful soulpop duo Ratata. After all, the album is called „Plays Monk“ – a meeting between talent and geniality. The result? „Rhythm-ANing“, pure and simple! Thelonious Monk with John Coltrane is a 1961 album by Thelonious Monk issued on Jazzland Records, a subsidiary of Riverside Records. It consists of material recorded four years earlier when Monk worked extensively with John Coltrane, issued after Coltrane had become a leader and jazz star in his own right. The album was assembled by the label with material from three different sessions. The impetus for the album was the discovery of three usable studio tracks recorded by the Monk Quartet with Coltrane in July 1957 at the beginning of the band’s six-month residency at New York’s legendary Five Spot club near Cooper Square. To round out the release, producer Keepnews included two outtakes from the Monk’s Music album recorded the previous month, and an additional outtake from Thelonious Himself recorded in April. 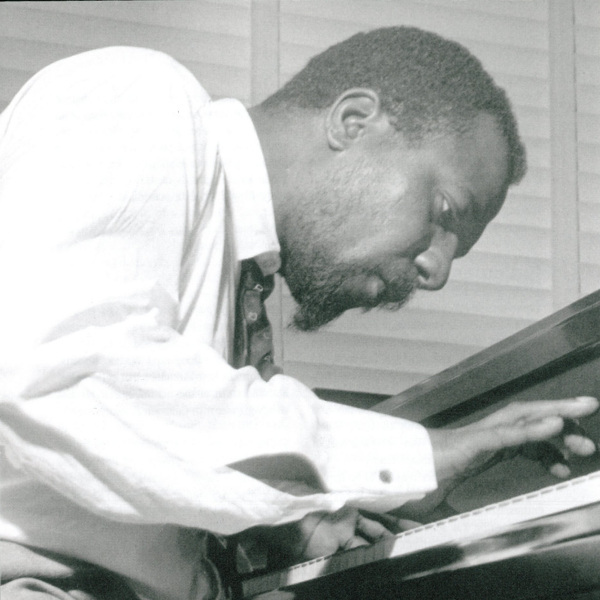 The latter selection, “Functional,” is a solo piano piece by Monk. It was reissued in 2000 on Fantasy Records as part of its series for back catalogue using the JVC 20-bit K2 coding system. Because of the historical significance of this album it was inducted into the Grammy Hall of Fame in 2007. 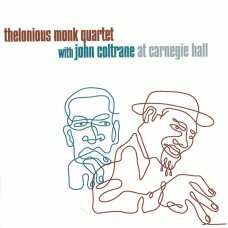 At Carnegie Hall is a live album by The Thelonious Monk Quartet with John Coltrane. It was recorded on 29 November 1957 at “Thanksgiving Jazz”, a benefit concert produced by Kenneth Lee Karpe for the Morningside Community Center in Harlem. Other acts performing included: Billie Holiday, Dizzy Gillespie, Ray Charles, Sonny Rollins, and Chet Baker with Zoot Sims. The recording, by Voice of America, documents two sets by the Monk Quartet with Coltrane that night – an early set (tracks 1-5) and a late set (tracks 6-9), which the recording does not fully document. The tape was stored at the Library of Congress where it sat untouched, until 2005 when it was discovered by recording lab supervisor Larry Appelbaum. The recording was then restored by producer Michael Cuscuna and T.S. Monk (Thelonious Monk’s son). The recording has been highly praised: Newsweek called it the “musical equivalent of the discovery of a new Mount Everest,” and Amazon.com editorial reviewer Lloyd Sachs called it “the ultimate definition of a classic”. Soon after its release, it became the #1 best selling music recording on Amazon.com. Larry Appelbaum, the recording lab supervisor at the Library of Congress, came across this tape by accident while transferring the library’s tape archive to digital. What a find. Forget the Five Spot recording that sounds like it was recorded inside of a tunnel from the far end. The sound here is wonderfully present and contemporary. More importantly, this band — which also included drummer Shadow Wilson and bassist Ahmed Abdul-Malik — had it right on November 29, 1957, at Carnegie Hall. The John Coltrane on this date is far more assured than he had been four months earlier on the Five Spot date and on the initial Prestige side Thelonious Monk with John Coltrane. He’d been with Monk for four months and had absorbed his complex, multivalent musical system completely. It’s clear from the opening track, “Monk’s Mood,” where the pair play in duet, that Coltrane is confident and moving into his own. Monk feels that confidence with his nearly Baroque entrance on the tune. This is a hard-swinging band with two front-line players who know how to get the best from one another. Coltrane knows the music inside out and his solos reflect an early version of his sheets of sound methodology. Check the joyous “Crepuscule with Nellie” for the hard evidence. Coltrane’s cue and Monk’s arpeggios are wondrous, swinging, and full of fire and joy. 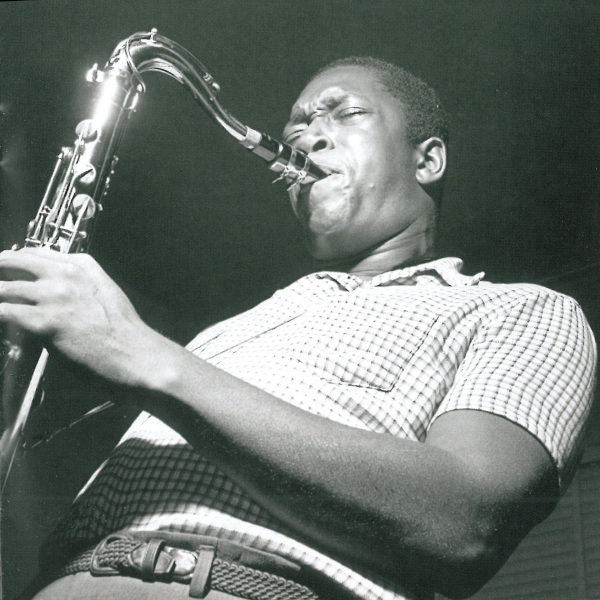 Trane’s fills on the melody that leads into his solo are simply revelatory, and the solo itself is brilliant. Or check Wilson’s cymbal work on “Nutty” before the band kicks it in full force. Even on the knottiest of Monk’s tunes, “Epistrophy,” Trane shines and takes charge of his instrument while being utterly receptive to the continual shape-shifting Monk put into his compositions in a live setting.